With Marvel keeping their cards close to their chests, Avengers: Endgame merch has proven to be a valuable resource in obtaining hints about the plot of this month’s highly anticipated movie. Before the trailers revealed the team’s matching Quantum Realm suits, for instance, action figures had already shown us what to expect. Generally, the merch hasn’t delivered any world-changing spoilers, but this one is still pretty juicy. In the gallery below is a shot of a toy Infinity Gauntlet. At first, you might think there’s nothing strange about that, as Thanos is seen to still be sporting his very own in the most recent trailer. Note the color scheme of the toy, though. It’s silver and red with gold detailing instead of the Mad Titan’s purely golden glove. It seems a second Infinity Gauntlet will be introduced in Endgame then and, going by those telling colors, it looks like Iron Man will create it. 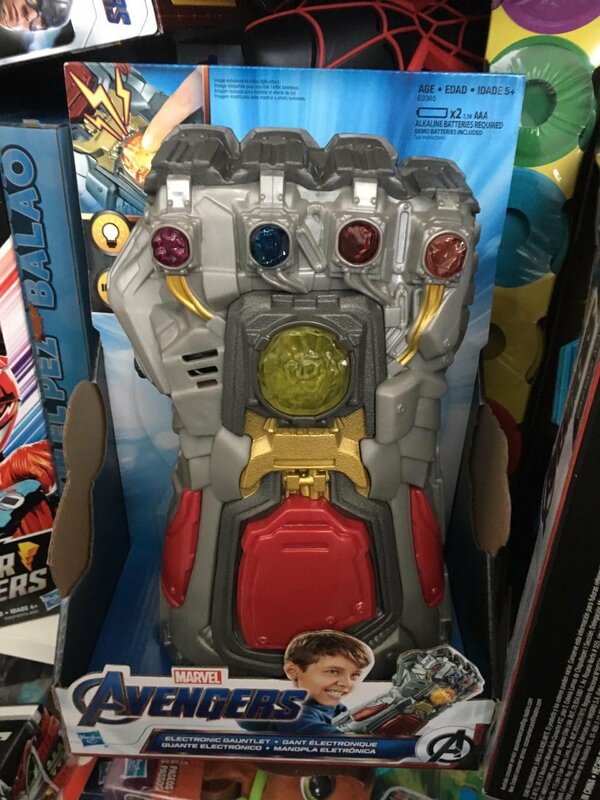 Of course, the thing with merch is that it doesn’t always match the movie it’s for, maybe because the item was based on an earlier version of the story – like those Avengers: Infinity War toys featuring Hulk in the Hulkbuster armor. In this case, however, you might want to pay close attention to the toy gauntlet up above. And that’s because a source who’s seen Endgame has strongly hinted to We Got This Covered that Tony indeed creates his own version of the wearable weapon in the film, which means that this toy is probably accurate. A Stark-made Gauntlet does make sense with what we’ve guessed about the plot, too. That being that the remaining heroes travel back in time to collect the Infinity Stones for themselves to then use against Thanos and reverse his snap. Set photos had suggested that the Avengers would wear devices that allowed them to share the Stones between them though, so maybe the initial plan is to use Tony’s Gauntlet but it isn’t up to scratch and the original six have to instead pull a Guardians of the Galaxy and share the power of the gems. Then again, we could be barking up the wrong tree here. We don’t have long to wait to find out though, as Avengers: Endgame is due to hit theaters on April 26th.